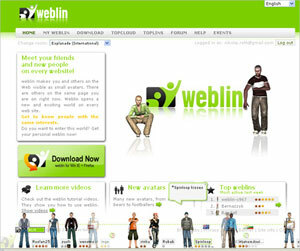 I’ve been with Zweitgeist/weblin from May 2007 till March 2009. I joined the company because the product and the team convinced me pretty much. As Vice President Sales I was responsible for the business development department, strategic partnerships as well as all online/offline marketing related issues. Within the last 2 years weblin has grown with an incredible speed and currently holds more than 3Mio. users worldwide. This has beaten our expectations by far. Due to the financial crisis we didn’t get our financial c round unfortunately. Therefore we had to discard all employees until end of March 2009.The product weblin will probably stay alive until a definite decision will be made about how it is going on with weblin. Whereas no service and support will be given anymore for the moment. It is really sad since I liked the time with Zweitgeist and its team pretty much. From my point of view it is still an innovative, ground breaking german idea and not one of those copycats.